Lindsay Berra talks about Aaron Judge’s shoulder surgery on MLB Network’s Hot Stove with Harold Reynolds and Matt Vasgersian (video will open in a new window). 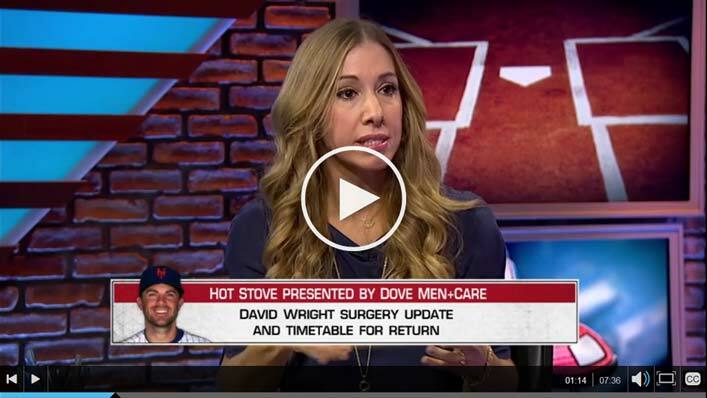 Lindsay Berra talks about back injuries to Miguel Cabrera and David Wright on MLB Network’s Hot Stove with Matt Vasgersian and Mike Lowell (video will open in a new window). Lindsay Berra talks about working out with Indians pitcher Corey Kluber on MLB Network Hot Stove with Harold Reynolds and Paul Severino (video will open in new window). 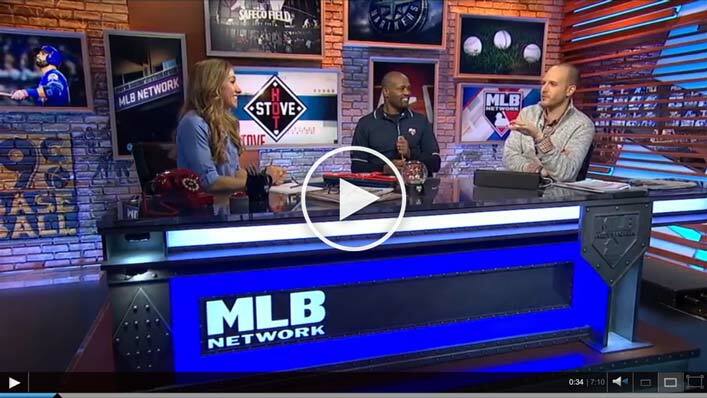 Lindsay Berra talks about working out with Matt Holliday of the New York Yankees on MLB Network Hot Stove with Harold Reynolds and Matt Vasgersian (video will open in new window). 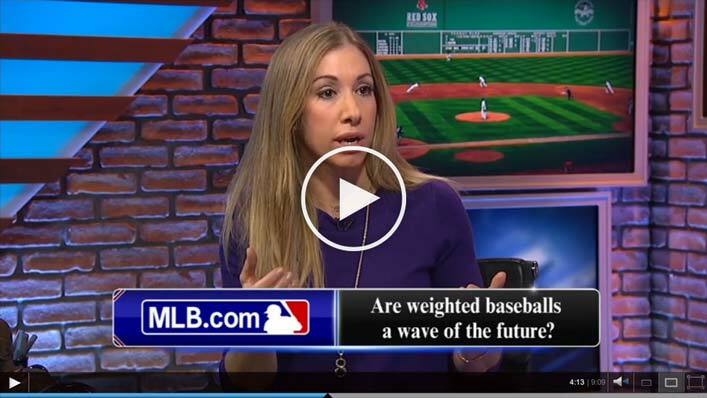 Lindsay Berra discusses training pitchers with weighted baseballs on MLB Network Hot Stove with Billy Ripken and Matt Vasgersian (video will open in new window). 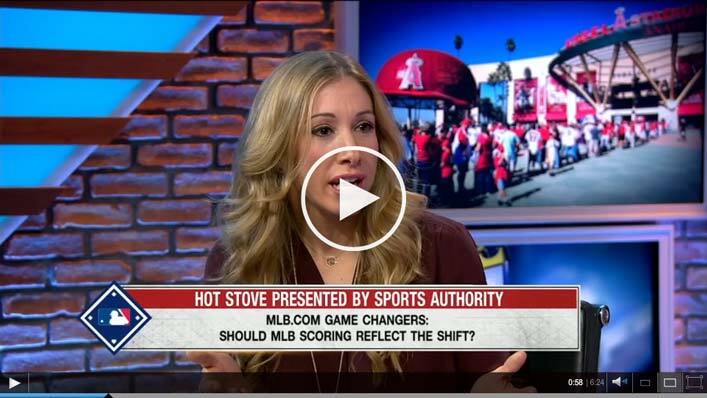 Lindsay Berra discusses scoring the shift in Major League Baseball on MLB Network's Hot Stove (video will open in new window). 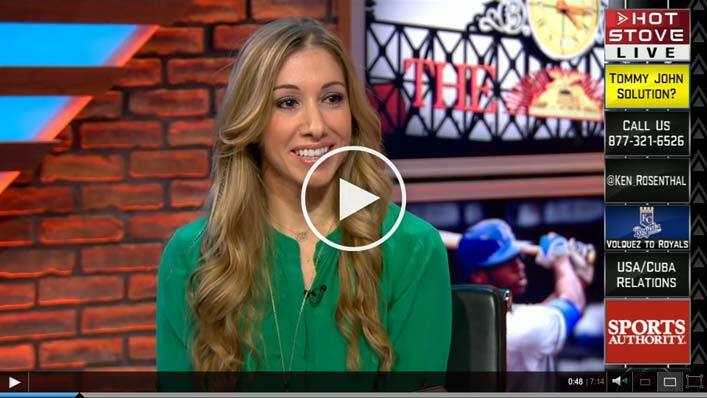 Lindsay Berra discusses her visit to the White House to receive her granfather Yogi Berra's Presidential Medal of Freedom on MLB Network's Hot Stove (video will open in new window). Lindsay Berra discusses her MLB.com story on new technology designed to gauge stress on pitchers’ elbows on MLB Network's Hot Stove (video will open in new window). 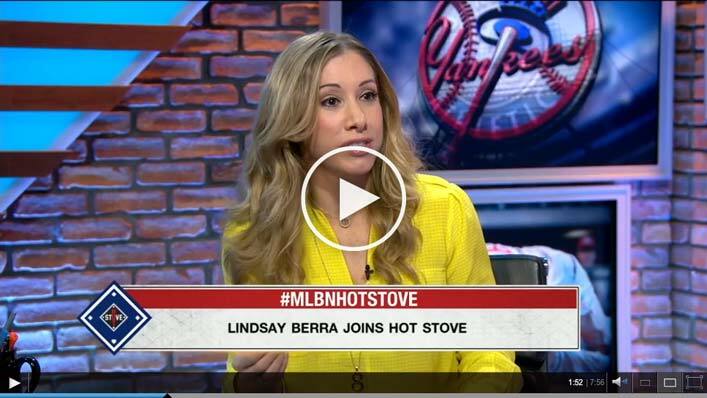 Lindsay Berra discusses her MLB.com story on the potential use of an electronic strike zone in Major League Baseball on MLB Network's Hot Stove (video will open in new window).